To make up for lost time, I offer you the following dramatic reenactment of a harvest only just gone by. If you’re a local, this will seem like a drawing of a dream you had once, fuzzy and cloaked in the haze of vintage amnesia. To members of the industry and not, from faraway lands and not, let this be a postcard of what it is to bust your chops in the name of wine in 2014 in Sonoma County. Harvest started off with a jolt. For the North Bay, a tectonic one; for me, the worker’s-compensation kind. 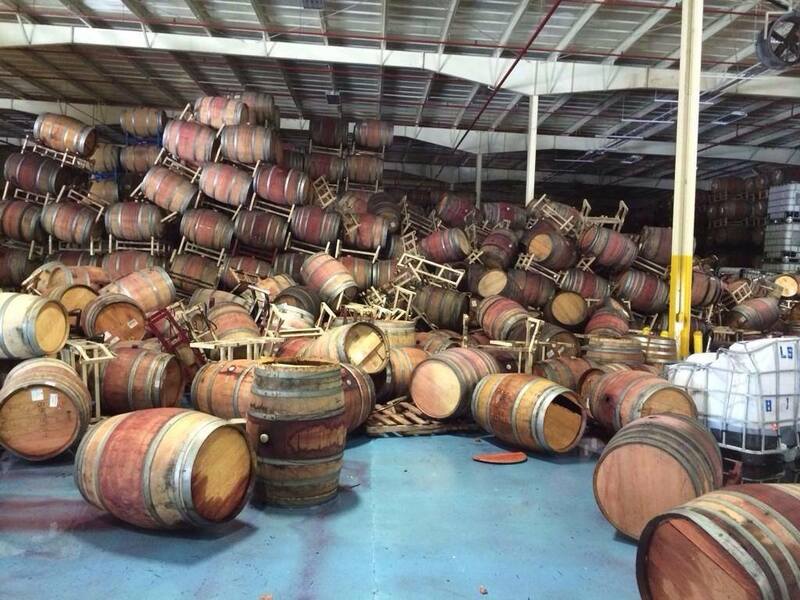 In the space of 48 hours, I fell off a ladder, became a useless and irritable spectator to our first haul of Pinot Noir, then a useless and irritable participant on the bottling line as we kissed two thousand cases of 2013 white wines farewell, and then there was an earthquake and our intern split her head open. So it was really all downhill from there. Joe and I had spent months anticipating a deluge of fruit. We’d looked at some alarming ripening models, in which most vineyards were coming in as heavy as the bumper crops of ’12 and ’13 – people, HOW is it that even POSSIBLE – and also mostly ripe within the same two weeks. On one August afternoon, I stood before Joe’s desk, listening to him rattle off the tonnages expected within the space of a week, and agreed with him that it was physically impossible. We did not have the tank space for that. 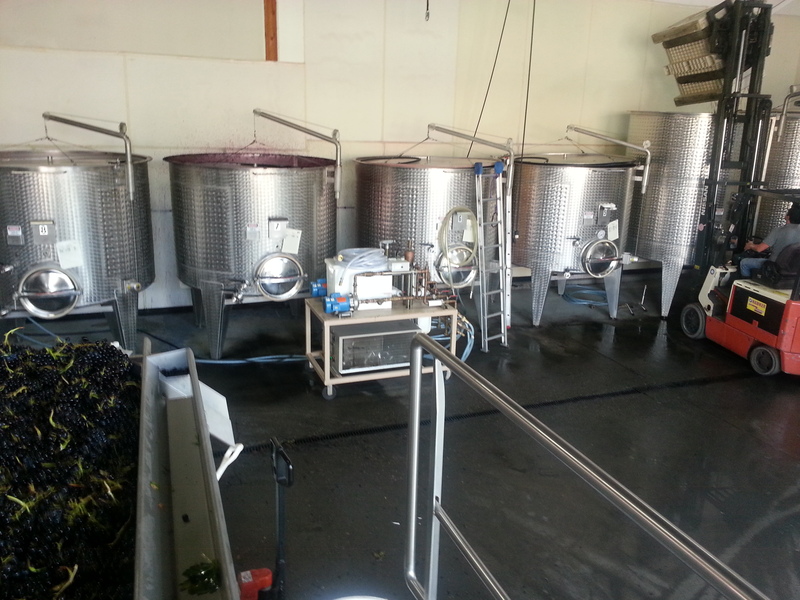 It takes us 10 to 15 days, on average, to turn over a tank of red grapes. It takes 48 hours to turn over white juice the way we process it. 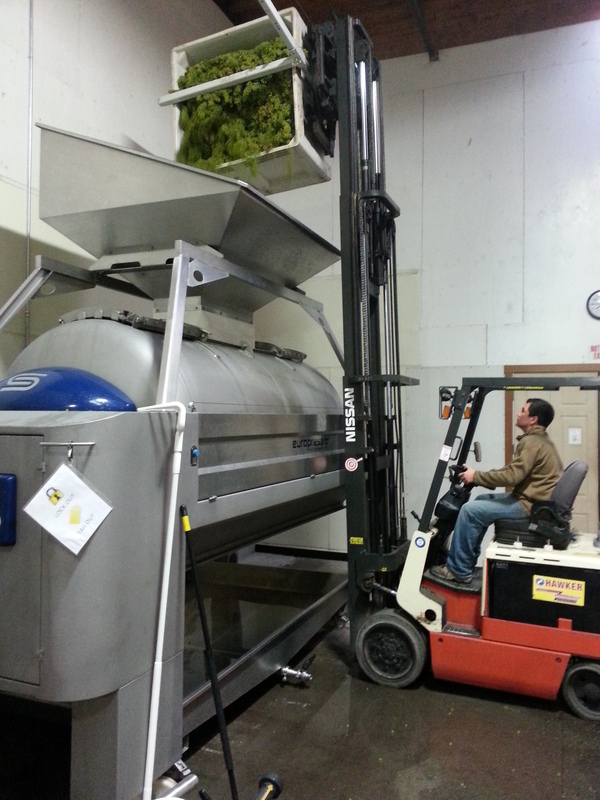 Our crémant press cycle for white grapes is 3 to 4 hours long. There are twelve tanks. There are four people. There are 24 hours in a day. There are 140 tons of grapes. There is one forklift. There is only one espresso machine. I tried to remind myself that: every year, somehow, we pull it off. And while it seemed unlikely this year, we did. Ripening patterns shifted in a few key places. Some vineyards held steady at a point of near ripeness, which can be ideal logistically but also physiologically and phenologically, developing flavor gradually without either accumulating sugar or dropping acidbeyond a desirable point. The heat stayed on, but it didn’t cook the way it did in 2013. Warm and pleasant days, good for people and grapes, but just mild enough to stem the flow and stave off overt dehydration in most cases. Basically, we got a lot of what we wanted. In a few places, we got too much. Nine tons of Grenache from a vineyard we’ve never had more than seven from? Five tons of Chardonnay from a vineyard we’ve never had more than three from? We saw some strange things happen this harvest, and heard of stranger things yet. There’s a feeling – perhaps a rumbling, impressionistic, gossipy one – that this third year of unprecedented volume in drought conditions, has pushed vineyards to places they aren’t accustomed to, and beyond our scope of hard facts and knowledge. Strange patterns at ripening and at fermentation. Head scratchers and keeper-upper-at-nighters. Due to some major logistical improvements to the flow of our cellar, Joe and I maintained that it was our most efficient and least torturous harvest. Most of the way, at least. Barrel work felt like a breeze. Our pumpover/punchdown schedule was cake. Our interns worked their butts off. Our sanitation was at an all-time high. Our processing seemed faster than ever, and clean-down quicker. 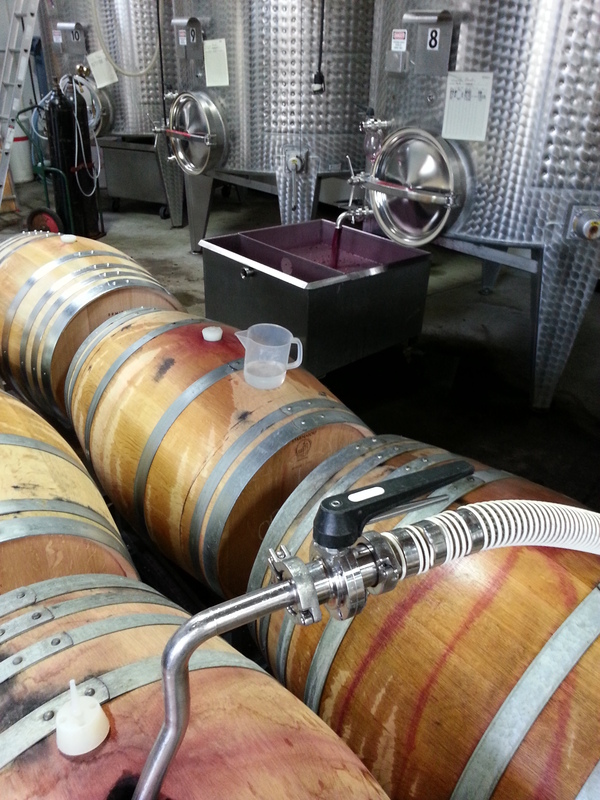 Our barrel-fermented whites were always at the ideal temperature. We were rather pleased with ourselves. And then came the last quarter, where it always feel like you’re tied in overtime, like every other year. And through it all: tasting. Tasting every ferment first thing in the morning while it’s still dark out and the fog still impenetrable. Tasting again at the end of the day, when again it’s dark out and the next day seems impossible. Tasting all throughout, watching flavors and aromas develop, disappear, reappear, transform, excite you, concern you, keep you thinking. 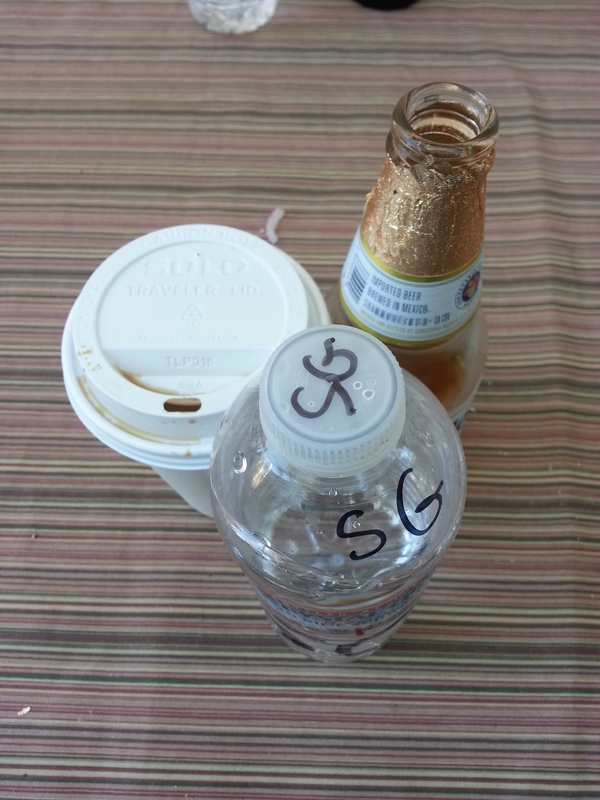 Every year we have our pet favorites and our ugly ducklings, our naughty ferments and our foam-overs. Quality is high. Alcohols reasonable. Acid levels ideal. Basically, I can’t wait to watch these wines find their way through the next year and two years. They are a promising, intriguing, occasionally puzzling, mostly exciting lot. 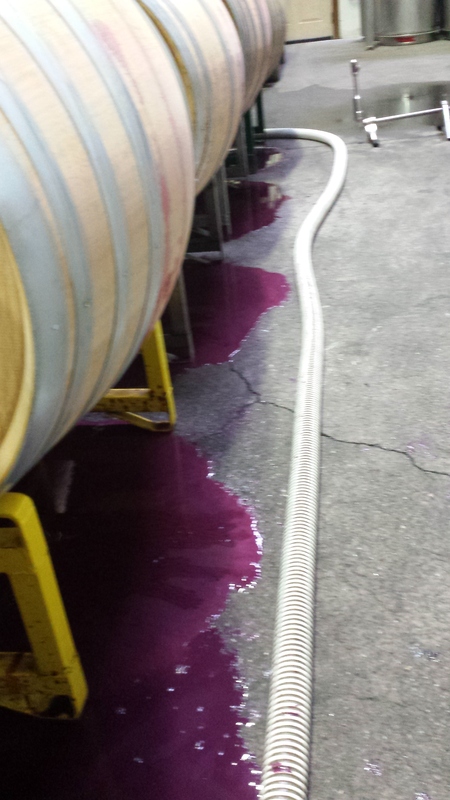 Kobler Syrah has me waiting on the edge of my seat to see what it will do. 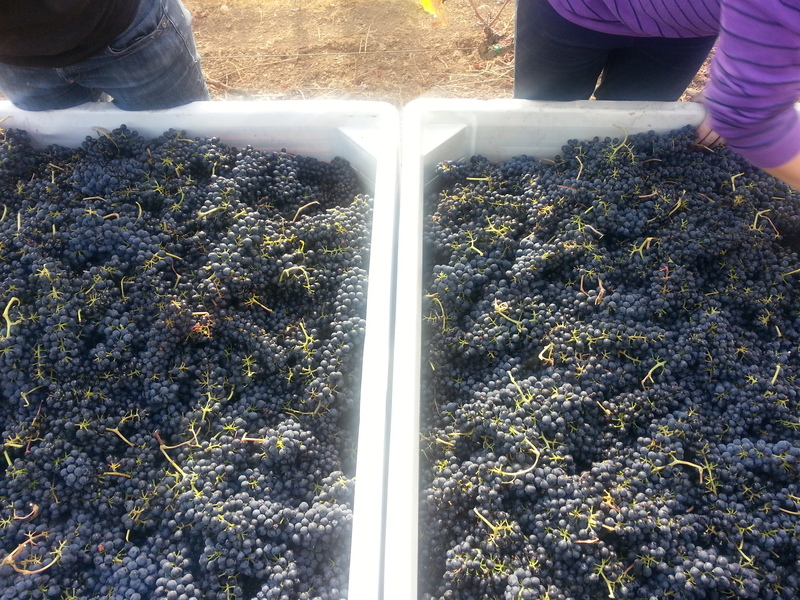 Obsidian Syrah is more varied and interesting than ever. Sonoma Mountain Pinot is powerful, earthy, and spiced. Sun Chase Chardonnay is the pear Jelly Belly of my childhood. With harvest wrapped up and tidy in early October, we returned to finished wines sooner than usual. Racking and blending 2013 lots, tasting 2013 lots – we’re closer to finishing 13 blends than we’ve ever been at this point in the year. I’ve logged a lightyear in the lab. 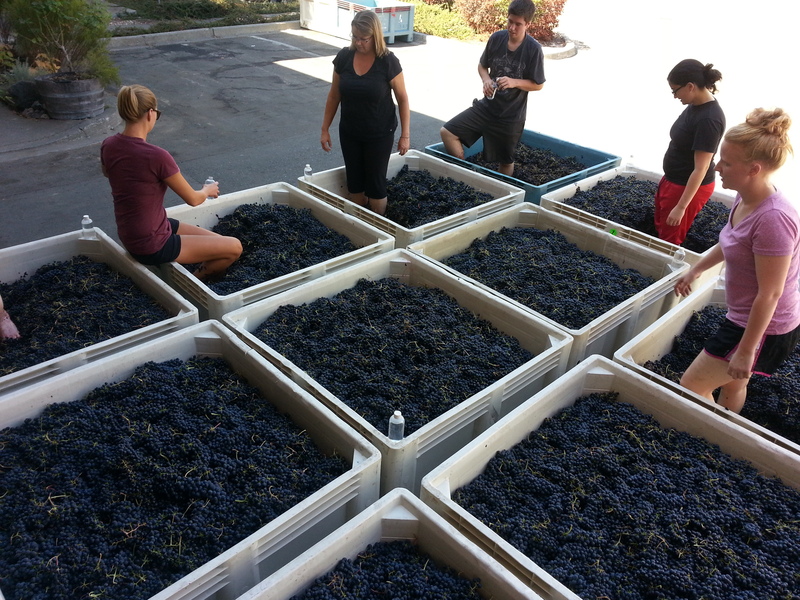 We’ve sulfured nearly every red lot and a some of our white lots. It’s been raining in Sonoma for nearly three weeks now, making national news. Some torrential downpours, some days-long sprinkling, some long-awaited puddle-jumping. We’ve had half our annual rain this month, and our drought-riddled state is sucking it down like a beer after one of those harvest days I can hardly remember now. 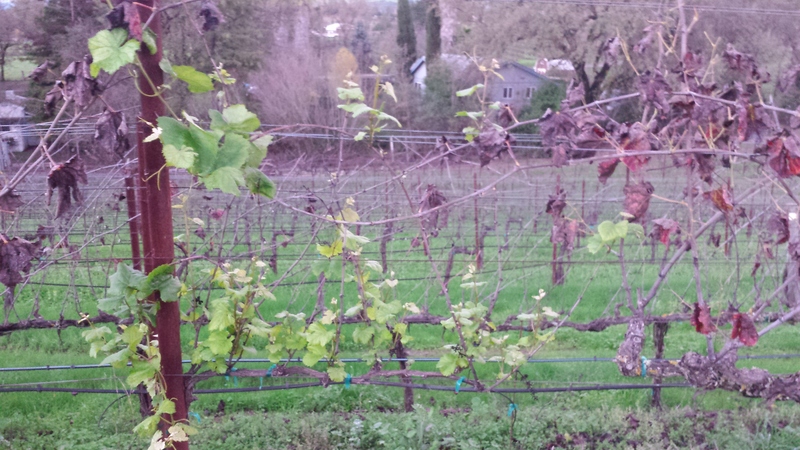 This shot is of a budding vine, surrounded by last year’s bare canes and dried leaves, confused by mild winter temps and plentiful rain into staying awake long after the others have nodded off. This phenomenon has got to be one of the most poetic things I’ve seen in the viticulture world. A reminder of the change and transformation and renewal that govern the growing world at all times, its fluid and impressionable nature, slipping in and out of time and light and darkness somewhere between pure logic and sheer magic. Happy New Year.